The (E86) Z4 Coupe was BMW’s successor to the polarizing “clown shoe” Z3 Coupe. Unlike the Z3 Coupe, which was parts bin car-I know, own one-the Z4 Coupe was designed from the onset with and Coupe variants in mind. As result, the Z4 Coupe has none of the shortcomings of its Z3 predecessor. The coupe form looks correct on the Z4, not an afterthought conjured up by delirious division engineer working too late one night. The fastback roof adds an air of elegance to the brutish, flame-surfaced lines of the Z4 roadster-it also adds rigidity. 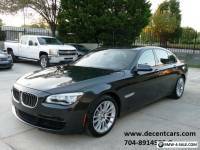 Go beyond the sheet metal and you will find the last application of one of BMW’s greatest engines, the S54B32 3.2-liter inline six-cylinder producing its full 330 horsepower, unlike S54 in the Z3M that was neutered by exhaust flow. That power is routed through six-speed manual gearbox and delivered to the rear wheels through an advanced multi-link rear suspension, having none of the bad manners of the Z3M’s E30-derrived trailing arm setup. When its time to stop, aluminum hub, cross-drilled floating brakes developed for the E46 M3 CSL make quick work of bringing the Z4 Coupe’s 3230 pounds to rest. So the Z4 Coupe was designed as proper car from the onset, but is it special? Yes! 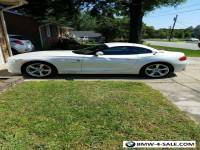 What makes it special is that old-school car recipe of high compression, high revving, normally aspirated inline six-cylinder engine powering the rear wheels through manual gearbox. With only 1,815 (North American Market) Z4 Coupes produced between 2006 and 2008, it’s rare too-but that’s not why you should buy one. You should buy one because they are cheap! Okay, that’s relative term, but lets take the long view for moment. The Z4 Coupe is currently one of the best buys in the used BMW market-seriously. They have reached the apex of the inverted bell curve of appreciation where their values are only going to climb. remember this point in the S54-powered Z3 Coupe market and it’s happening now with the Z4M. look at the future supports this argument. The successor E89 Z4 had no variant (sans the fantastic GTLM Z4 race cars), and the future of the BMW division is one where turbo chargers are the norm, manual gear boxes are rare, and there are rumors of four-wheel drive. 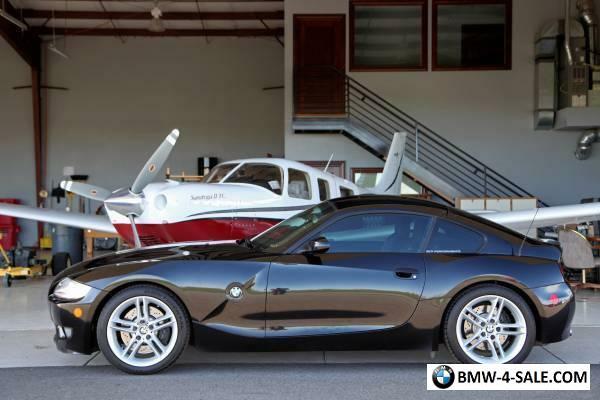 If the past is any indication, those advances will aid in the Z4 Coupe’s appreciation. 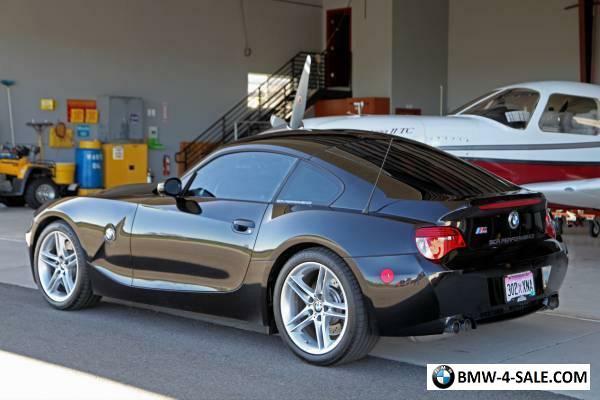 What you get with the Z4M is one of the most evolved examples of that old-school car recipe in two-seat coupe that is unapologetically focused the driving experience. Best of all you can brag to your muscle car friends about how it was made right here in the USA at BMW’s Spartanburg, SC plant. The Z4 Coupe am selling is, admittedly, not cheap, but it isn’t expensive either if you consider what it is. 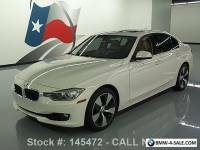 When you buy used BMW, the most important element is the previous owner’s care. Paying upfront for one that has been properly cared for and maintained is an investment that pays dividends in the long run. am selling this Coupe for BMW car club member, enthusiast and member of the SCR Performance extended family. SCR Performance is BMW specialist in Loveland, Colorado that maintains strong relationships with its clientele. The seller is the second owner; he purchased it from CO’s BMW in Loveland. The first owner took delivery from Winslow BMW in Colorado Springs. It has always been dealer or specialist serviced, and always lived in Colorado, other than brief stint in Oklahoma with the first owner. It has never been tracked, although, hopefully the new owner will remedy that. 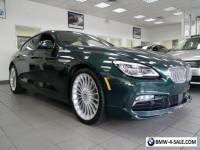 This Coupe is largely stock, sans few refinements that the owner has made to overcome the shortcomings all Z4M’s came with from the factory. The first was the engine mounts. There were isolated incidents of the passenger side motor mount brackets failing on Z4 Coupes, but the problem was actually the bolts not being torqued correctly. Eventually, the bolts would back out enough to cause bracket failure. The mounts on this car have never failed, but they were replaced as preventative measure with heavy-duty motor and transmission mounts, along with new bolts torqued to spec. There were also complaints about the Z4 Coupe’s shifting being overly notchy along with some driveline lag lurch under acceleration. The owner fixed this by deleting the clutch delay valve and replacing the stock clutch and dual-mass flywheel with Bimmerworld performance clutch and lightweight flywheel. The results are wonderfully crisp shifting and no driveline lurch under initial acceleration. The original clutch and flywheel are included with the sale. The last thing the owner did was install strut brace and Powerflex purple delrin front and rear control arm bushings. They make the Coupe crisp and responsive, yet are still tolerable for daily driving. The exterior condition of this Coupe is clearly indicative of its low mileage, and indoor storage. The profile view is my favorite angle of the Coupe’s form-a form of contradictions. The long hood, wide front track, and vertical strafes above the front splitter paint an aggressive shark-like picture. Meanwhile in the back, the roof slopes gracefully into narrow framed by wide rear fenders. Black Sapphire Metallic is the perfect color to highlight the Coupe’s design language. It is in exceptional condition with no areas of failed or faded clear coat. All body panels are original; there are no glaring scratches, door dings, or dents. The Carfax is clean and there is no evidence of accidents, paint, or bodywork. There is no rust whatsoever. The leading edges of the hood and fenders, along with the front bumper cover have been protected by 3M Clear Bra. The only flaws could find are scuffs on the lower front splitter. The SCR Performance decal on the front bumper cover is automotive vinyl that can be easily removed with no residue-I have the same decals on my Coupe. The 18 inch front and 18 inch rear Style 224 wheels are straight and true with no curb rash. The interior is, likewise, in excellent condition. Sit down you are greeted by one of BMW’s best steering wheels. The small-diameter, thick-rimmed, color stitched steering wheel is wrapped in soft leather that has zero wear. Behind it are twin chronograph-like speedometer and tachometer gauges in deeply recessed bezels. Underneath them, the black Napa leather seats are nearly perfect. The leather is soft and supple, with virtually no seat bolster wear and no failed seams. The brushed aluminum trim is intact with no scratches. The carpets have no rips or tears, and are protected by floor mats. 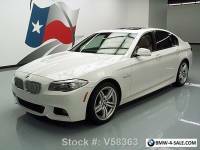 It has never been smoked in, and there are no odors, other than that wonderful Napa leather smell all low-mileage BMW’s of this vintage have. All interior functions and accessories work correctly. The BMW premium sound system is wonderful. The heat blows warm and the air conditioning blows cold. The door locks and window regulators operate correctly. The rear hatch struts are firm and the cargo carpet is free of wear or stains. All original owners manuals are included along with two keys. 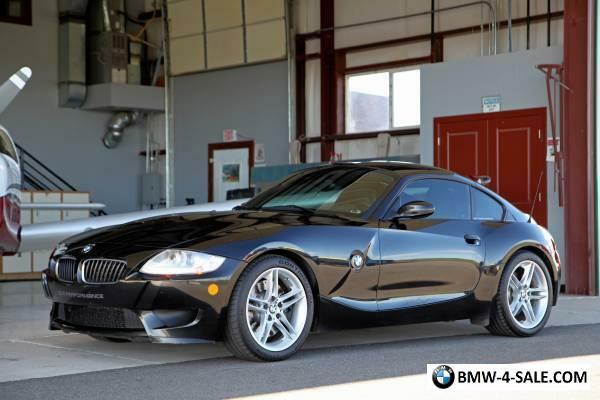 This Z4 Coupe has been the recipient of impeccable stewardship. The current owner just completed full Inspection II, including the valve adjustment. He has changed the oil at 5000-mile intervals using BMW spec Castrol 10W-60 synthetic oil. The gearbox and differential fluids were done in his tenure using Redline fluids. The S54 engine pulls strong to redline. You can feel and hear the wonderful symphony that it produces through the heavy-duty engine mounts, but in manner that is still unobtrusive. There is no VANOS rattle, leaks, or seeps. S54’s used in Z4 Coupes did not suffer the rod bearing issue that early S54 units did. The shifting is crisp as previously mentioned. There is no driveline whine or vibrations, although the there is normal lightweight flywheel chatter at idle. The brakes are fantastic and the Continental Extreme Contact tires have over 60% remaining. This is turn-key Coupe is ready to be enjoyed by its new owner. If you are interested in our brokerage services, in one of the pre-owned cars in our inventory, or in selling vehicle, we can be contacted by phone or email.